Hey everyone! With our group ever-expanding, we like to remind everyone about our pace groups, how they work, and how you make the most out of our group runs. For that, we’d like to throw this week’s blog to a post written by Captain Amir a few years back. What is your favorite part about our pace groups? Drop us a line in the comments to let us know! Week in and week out we host our Monday Night Runs and Thursday Night Speedwork sessions If you have been to a run or two, you are aware of our pace groups: 8min, 9min, 10min, 11min, 12min, Run/Walkers, and Walkers. Roughly that is the pace you will run each mile. We stay within range of 3-6 miles, so you’re in good hands and being challenged at the same time. If it’s your first time have no worries, because you’ll do just fine. 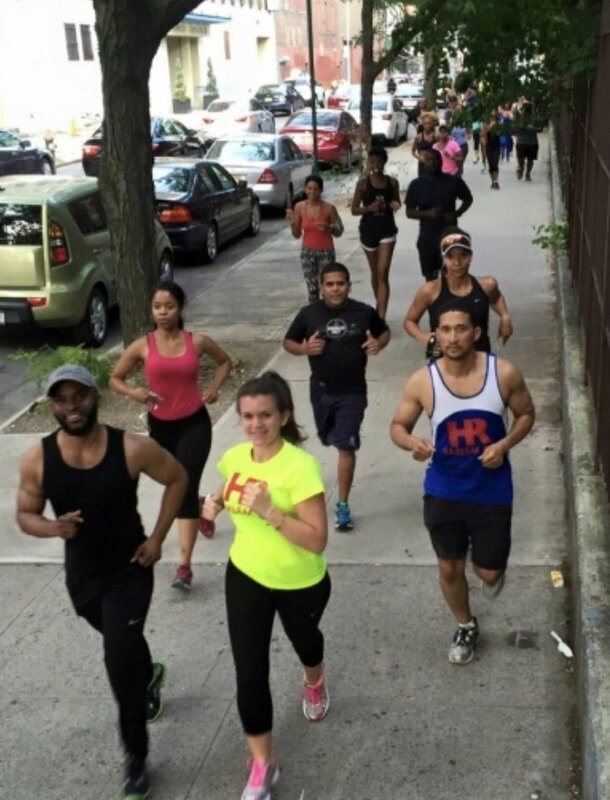 For our weekly runs it is best to stay with your pace leader, or better yet a partner, if you’re not too far behind. We’re not here to tell you what to do, so ever so often others might push forward ahead, which is up to you--since the route is available ahead of time. As long as you’re not wearing headphones, respecting the community, and running two-by-two...do your thing. I’ve most recently had the pleasure of pacing Aubrey (herald of the #YoungLegendz) for the United NYC Half and Alison for the Bear Mountain Endurance Challenge Marathon Relay. That was Aubrey’s first half marathon and Alison’s first time running a tough trail run. I often will humbly ask if others would like to be paced, if I am around and don’t have any particular goal in mind, because I’ve learned so much from following behind pacers myself. It wasn’t that long ago that I ran with Coach Shayne and we both qualified for Boston. I wasn’t always comfortable asking, but I was also reluctant to push myself. Pacers are nearly always offered at races. You can and should always inquire about them, especially if you have a goal time in mind. Pacers are meant to be the constant, consistent marker of letting you know where you stand relative to your intended goal. If you’re behind your pacer you probably need to pick it up a bit. If you’re ahead of your pacer, maybe you’re going out to fast or you’re comfortable and will end up pushing past your goal. Don’t be afraid to share your goal with someone, so they can hold you accountable. You live and you learn. There are never any failures, because you will learn through your own personal experience. With a bunch of races coming up for me in the next few months, I have my pacers in mind and I'm ready to hold myself to accountable with them. If you’re running find you a running partner, whether you just want to enjoy the run or set a goal and achieve it. The run is all yours. You get to choose what you want to do and have others with you, should they also agree to join you. Celebrate the small victories, and don’t be afraid to be great!